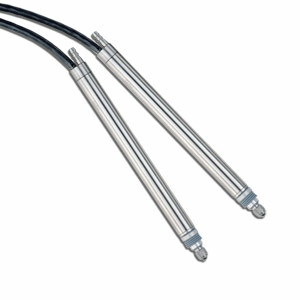 The GP911 series analog gaging probes utilize proven LVDT technology to provide excellent linearity and repeatability in a compact, reliable unit. All analog probe heads carry a NEMA 12 (IP65) environmental rating which makes them suitable for use in harsh industrial environments. In an analog gage probe, two small transformers share a common magnetic core. As the core moves, the output of one transformer increases and the other decreases. The out-of-balance current provides the measure of the core’s position. LVDT’s operate on an ac energizing voltage and require special signal conditioning.